IRONMAN, a Wanda Sports Holding company, announced today the addition of the IRONMAN® 70.3® Cascais Portugal triathlon. The inaugural race will take place on September 3, 2017. The race venue is located in Cascais, just west of the country’s capital, Lisbon - an area known for its wealth of attractions. The old, small fisherman's village of Cascais is now a bustling coastal town and was once the preferred summer seat for Portugal’s royal family and nobility. “We are thrilled to be able to offer our athletes an IRONMAN 70.3 event in Portugal. This wonderful location clearly provides all the ingredients for a memorable IRONMAN 70.3 race experience,” said Hans-Peter Zurbruegg, Managing Director of IRONMAN Europe, Middle East and Africa. Athletes will start their race with a one-loop 1,9km swim to the backdrop of the Fortaleza da Cidadela, the most spectacular bay in Portugal. Originating in Cascais, the 90,1km one-loop bike course runs alongside the ocean, and through to the Village of Oeiras. The course also covers stunning natural scenery in the Sintra forests, returning to Cascais along the Guincho Beach. The two-loop 21,1km run course leads athletes along the seafront promenade and to Estoril and S. Pedro, where competitors will be cooled by the sea breeze. With its mild climate and 3,000 hours of sunshine each year, Portugal has always been the perfect destination for family holidays. Cascais, with more than 650 years of history, is just a 20 minute drive from Lisbon International Airport and is located between Sintra (a UNESCO World Heritage Site) and Oeiras. "We are very happy to host an IRONMAN 70.3 triathlon in Portugal and Cascais is the ideal home for this event. We look forward to providing athletes with one important reason to come here, but many reasons to stay,” said Jorge Paulo Pereira, Race Director of IRONMAN 70.3 Cascais Portugal. IRONMAN 70.3 Cascais Portugal will offer a $15,000 USD professional prize purse and 50 age-group qualifying slots for the 2018 IRONMAN 70.3 World Championship. General registration for IRONMAN 70.3 Cascais Portugal will open at noon local time on October 9, 2016 at www.ironman.com/portugal70.3. 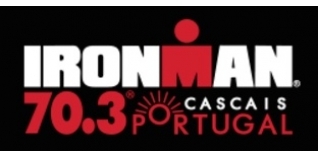 Athlete inquiries may be directed to cascais70.3@ironman.com.